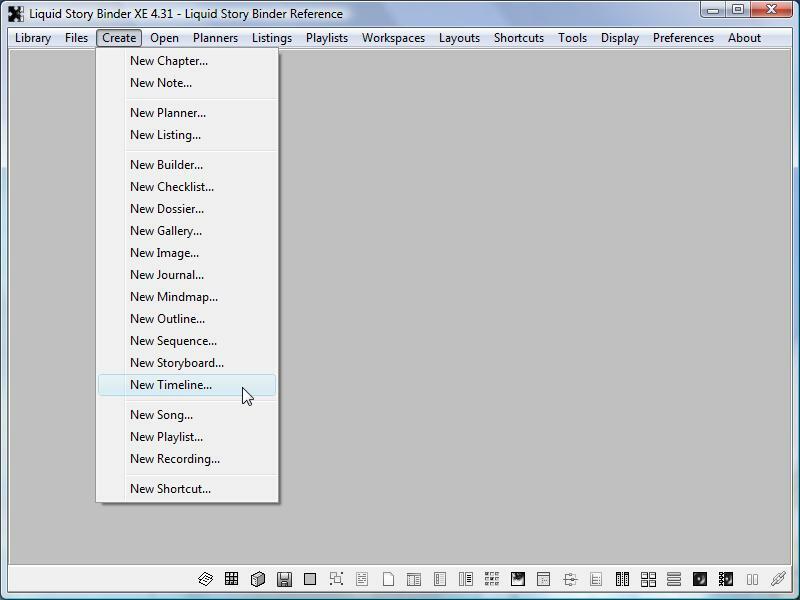 To create a new Timeline, choose 'New Timeline' from the main 'Create' menu. Enter a title for your new Timeline. A new, blank Timeline will open. Begin by adding your character names. 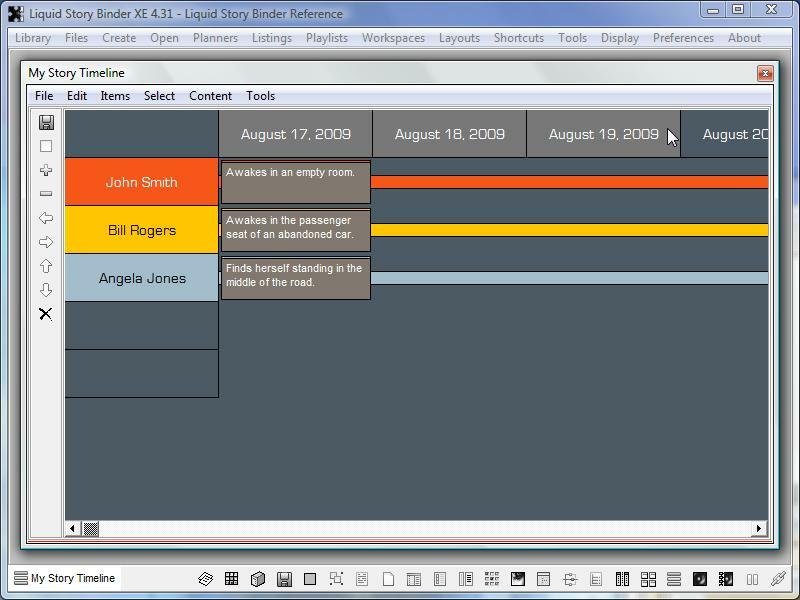 Timeline headers or rows run from top to bottom on the left-hand side of the Timeline window. 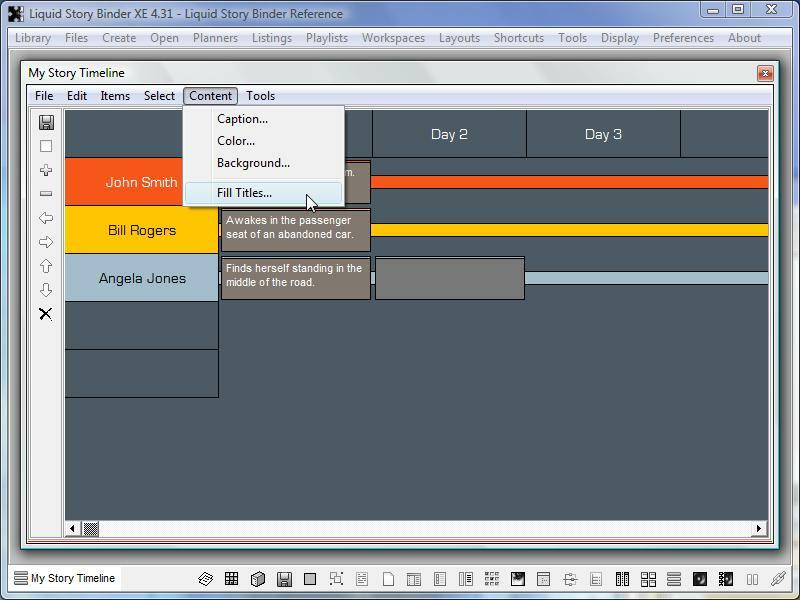 Double-click the grey timeline header and type in the desired character name. Now, add change your instance headers. 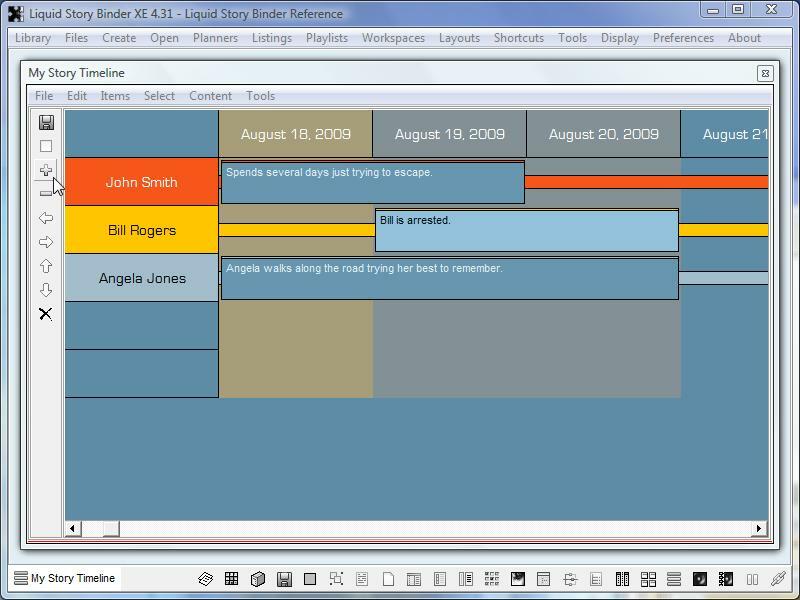 Instances are the time or date columns running along the top of the Timeline window. To add items quickly, hit the TAB key to jump to the next item. 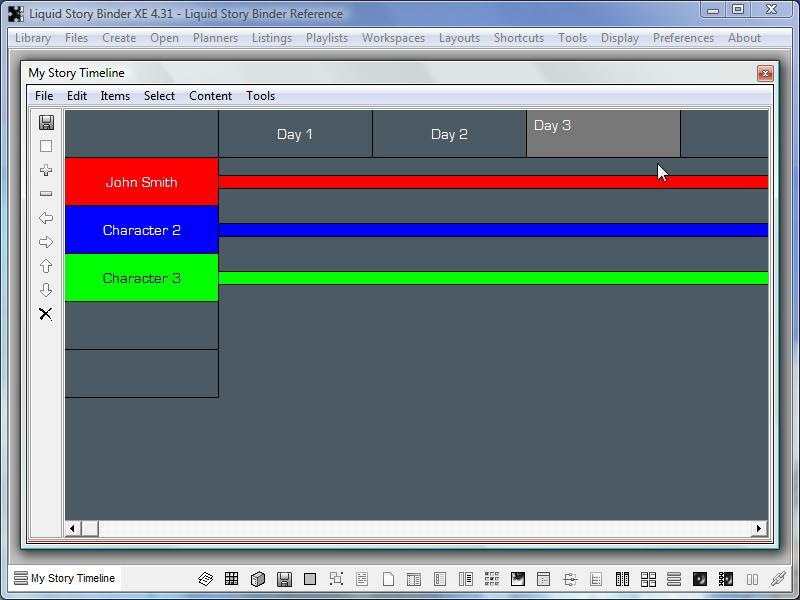 Now, start editing individual time cards for each character. To edit, simply double-click the desired card. 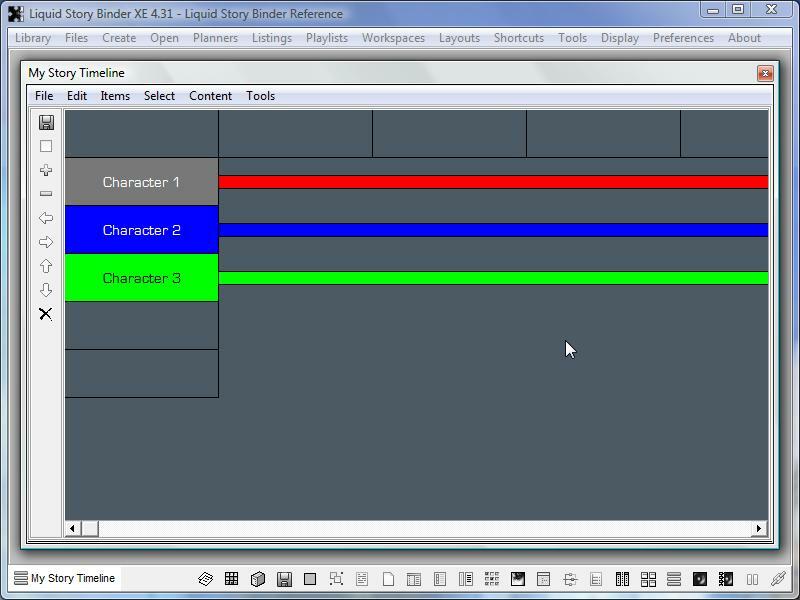 To change a character's timeline color, choose 'Color' from the 'Contents' menu. 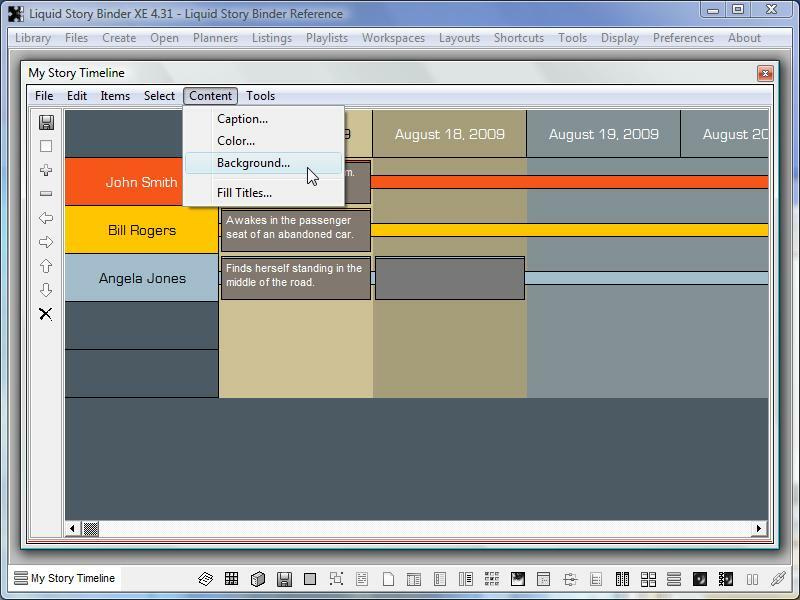 Quickly add sequential date and number information to your Timeline headers. 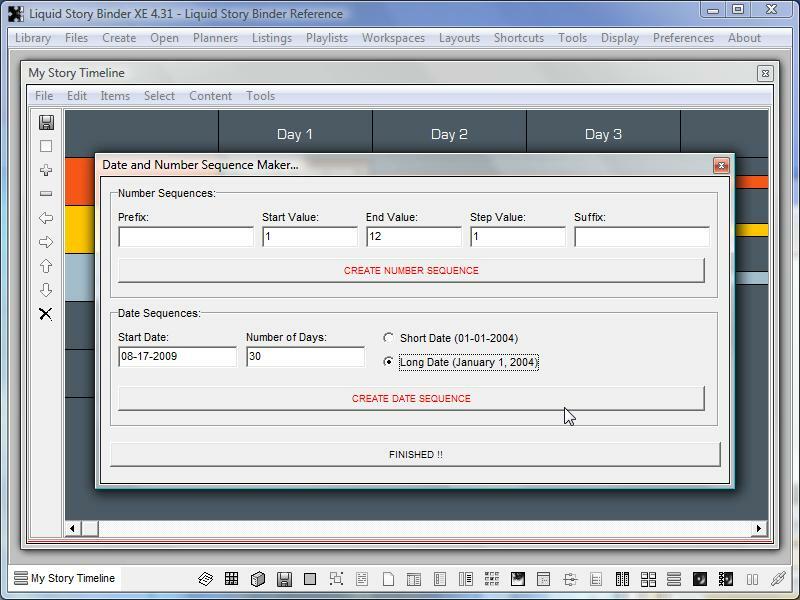 Choose 'Fill Titles' from the 'Content' menu to open the 'Date and Number Sequence Maker' dialog. To add a series of dates, use the ‘Date Sequences’ box. Begin by inputing a start date using the ‘Start Date’ box. The ‘Number of Days’ box determines the number of headers effected. 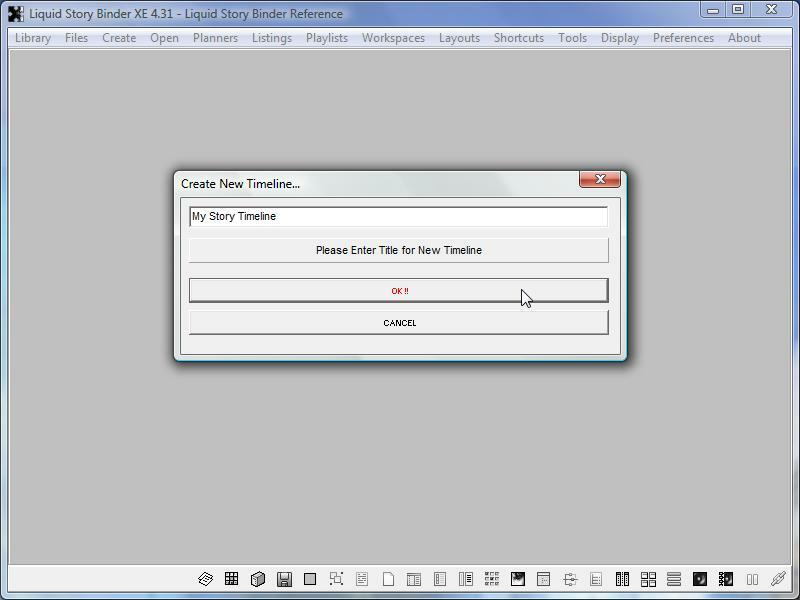 Click the ‘Create Date Sequence’ button to finish. Notice the new date instance headers. Change the background color of selected cards using the 'Content' menu. The background color change effects the entire column or 'instance' of the selected card. 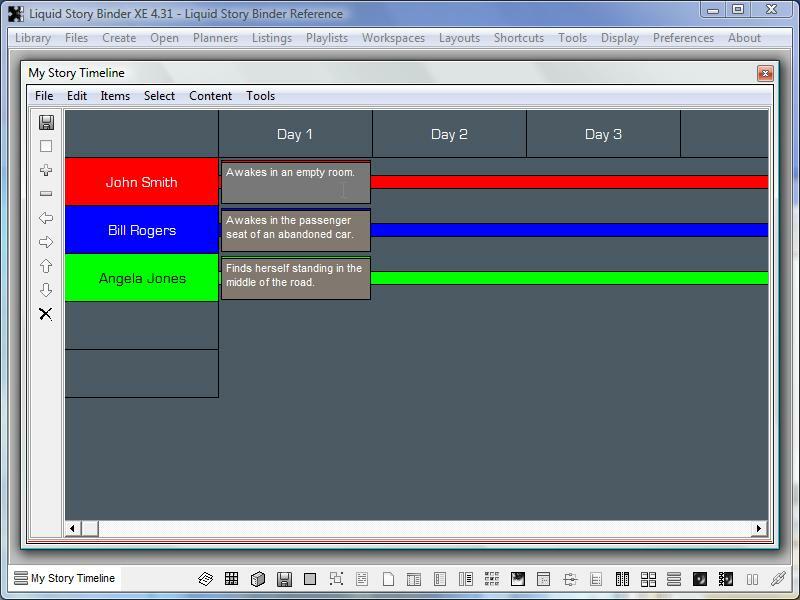 A single timeline card can be used to cover multiple days or instances. This is useful if your one of characters is stuck in one place, doing the same thing over a long period of time. Click the 'Extend Items' icon to stretch selected cards. 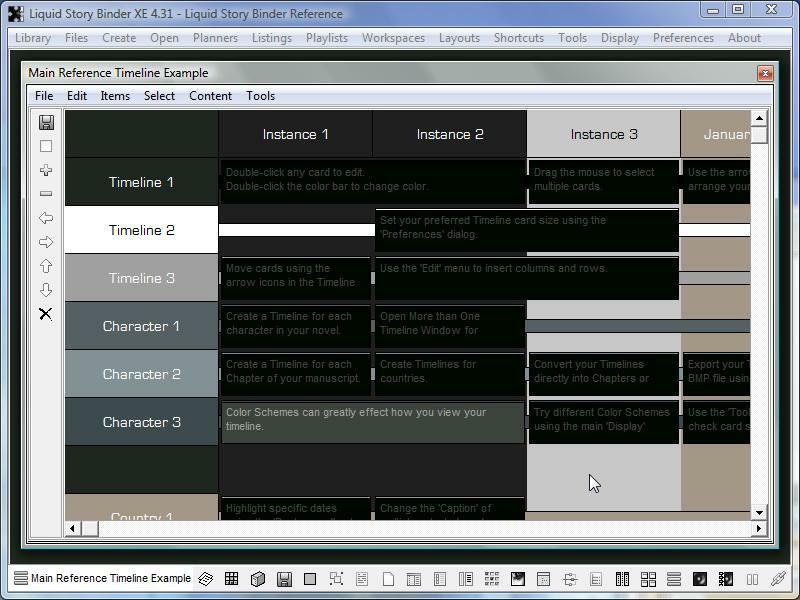 Color schemes greatly effect the Timeline display.